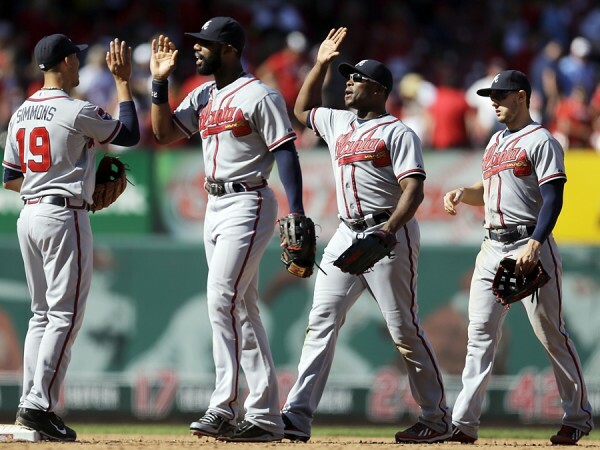 The St. Louis Cardinals are always a solid team, but this doesn’t look like the kind of group that can reach the World Series or even the playoffs once again with this kind of baseball, losing to the Atlanta Braves 6-5 as Trevor Rosenthal blew a save for the second time this season, indicating one of the biggest differences from the 2014 team to the one that did so well in 2013. Rosenthal is now 0-2 this season with a 4.98 ERA. This coming from a guy that had 149 of his 174 pitches in the playoffs were fastballs, averaging 97.7 mph and touching 100 mph multiple times. His speed has dropped to 96.2 on his fastballs, and he has allowed 14 walks in 21.2 innings of work. Being overworked, as his appearance in the loss to the Braves was the fourth in a row, might be part of the problem. He couldn’t take out Freddie Freeman (3-for-3 with a home run and 3 RBIs) who hit a single on the first pitch. Rosenthal struck out Chris Johnson and got Andrelton Simmons to pop out, but then came Ryan Doumit to pinch hit. Doumit hit a fastball for a double, which advanced Freeman to third. Evan Gattis got the best of him in the count, and the decision was to walk him as well, loading the bases with one out to go. Jordan Schafer, hitting a .115 this season, was up next. Statistically speaking, it might have been the right decision. But it turned out to be the wrong one, especially when thinking how bad Rosenthal’s control has been this season, allowing hitters to walk way too often. As expected, with the fastballs zooming everywhere, Shcafer was patient enough (and slightly lucky with his foul tips) and walked, as the Braves tied the game. Rosenthal was taken off, Carlos Martinez came on. 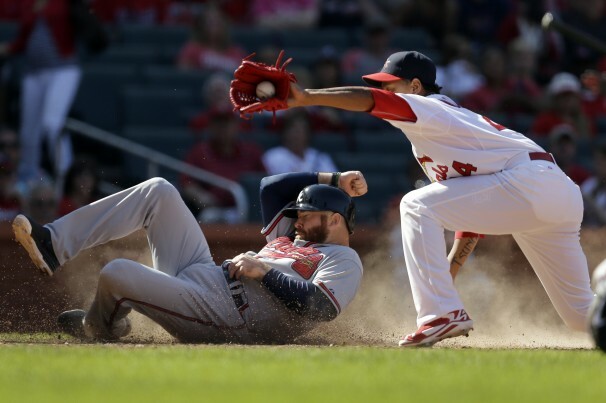 His wild pitch allowed Doumit to score, and the Braves won one in the three game series, improving to 23-19 season while the Cardinals fell to 23-21. Rosenthal’s closing problems or over usage aren’t the only issues the Cardinals are facing. Matt Carpenter had a good game with 2-for-2, but he isn’t close to his 2013 level, and is on pace for just 30 extra base hits this season compared to 73 total last season. He is getting walks (walked three times in the loss) but isn’t giving them that extra from 2013. The same goes for Allen Craig in the clutch, but he is only .220 with runners in scoring positions this season hitting .226 overall with four home runs. The duo’s lack of power is part of why the Cards are 29th on the home run list with only 23 this season. Physically I felt good and mentally I was ready to go. No one feels worse than me, walking in the run that eventually loses the game. But you have to bounce back. There will be another opportunity. You just have to learn from it.